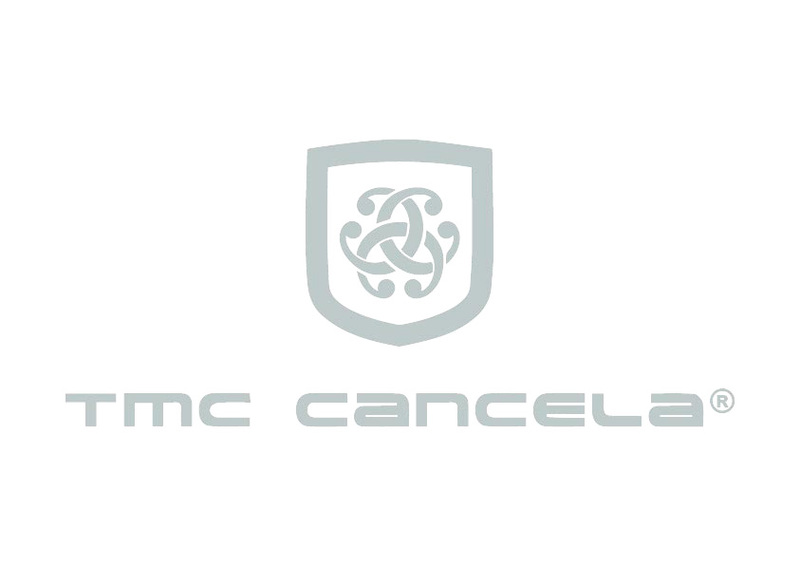 Leader in the market of western Ukraine since 1998. Careful attention to the needs of the agricultural workers in Ukraine, ease in cooperation, in time and reliable delivery and payment conditions have led to the presence of regular customers. Trade and dealership with agricultural machinery, spare parts and units to it. Guaranteed and after warranty repair, maintenance of the equipment supplied by us before. Outbound repair, replacement and restoration of tractors, combines, forklifts, seeders and separate aggregates. Transportation of dimensional agricultural machinery to the destination. 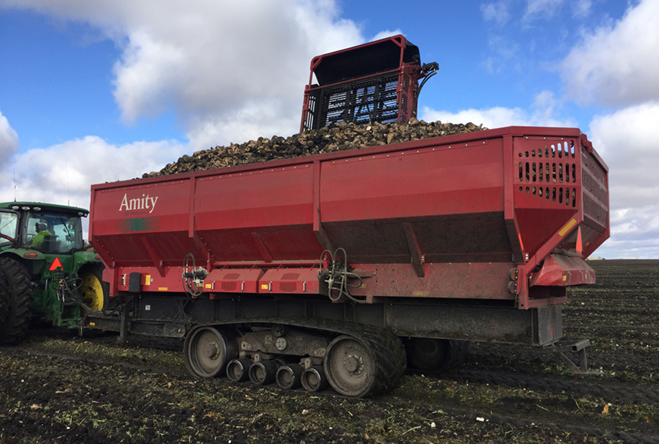 Capable of unloading 6 to 30 tons per minute, the Amity sugar beet cart quickly turns your trucks and gets them back on the road, no matter the field conditions. 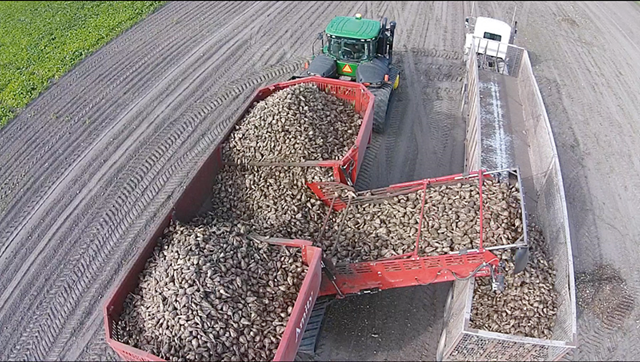 Whether your field is wet or dry, this cart reduces field compaction and beet damage to maximize your harvesting efficiency. 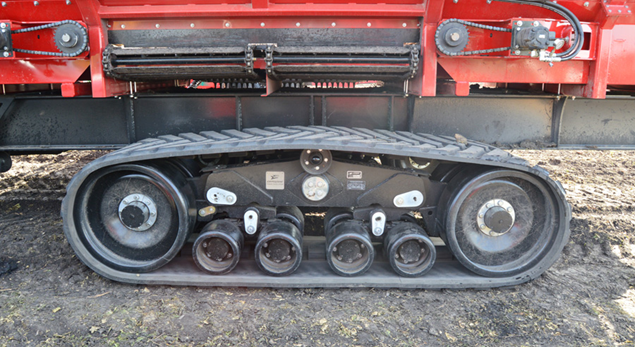 WHAT MAKES THE HAULMASTER GRAIN CART GREAT? The Haulmaster Grain Cart is built by a farmer for a farmer. We understand what features not only maximize your time on the field but also keeps you going in those tough environments. High capacity to keep your combines going and heavy duty design that can withstand the elements when you need it most. Fight wet conditions and compaction with Elmers exclusive track design built specifically for the highest capacities, toughest conditions and low maintenance. THE LAGOON CRAWLER WILL MIX YOUR LAGOON OR PIT IN THE MOST EFFICIENT WAY POSSIBLE.THE 2018 CRAWLER IS BUILT TOUGHER, MEANER, AND MORE POWERFUL. The wheels drop down giving the vehicle roughly 4′ of ground clearance. Controlled by remote. Ukraine, Lviv region, Zolochiv, Promyslova 4 st.